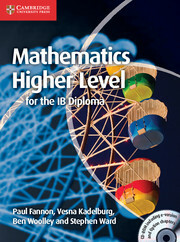 This completely new title is written to specifically cover the new IB Standard Level Mathematics syllabus through a progressive approach that encourages cumulative learning.This highly illustrated coursebook and accompanying CD-ROM forms part of the completely new Mathematics for the IB Diploma series. 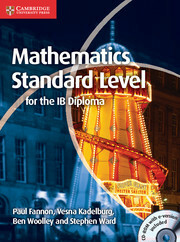 It has been written to specifically cover the new IB Standard Level syllabus. Based on the new group 5 aims, the progressive approach encourages cumulative learning. 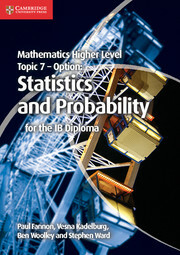 Features include: a dedicated chapter exclusively for combined exercises; plenty of worked examples; questions colour-coded according to grade; exam-style questions; feature boxes of hints and tips.The CD-ROM at the back of the book contains extension worksheets, prior learning sheets, calculator skills sheets, fill-in proofs and a complete e-version of the book. 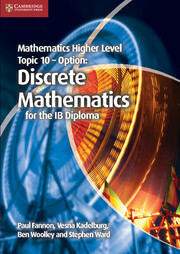 Accompanying CD-ROM contains extension worksheets, prior knowledge, calculator skills sheets and fill-in proofs. Worked examples show typical workings and thought processes. 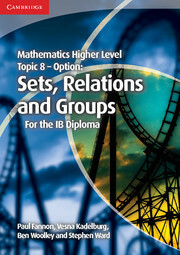 Exercises are progressive and colour-coded according to IB examination grades. 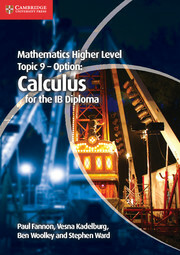 They include short-answer questions and longer-answer questions typical of the IB examinations. Theory of Knowledge boxes highlight some of the weaknesses and ambiguities in mathematics, as well as showing how mathematics links to other areas of knowledge. Terms and conditions for use of the CD-ROM.